A dangerously fatigued driver sent three Clearwater police officers to the hospital following a wreck on the Courtney Campbell Causeway. Witness reports are a bit inconsistent. Some say that officers were assisting a disabled vehicle; others say they were working a non-injury crash. Regardless of these facts, a drowsy driver slammed into the cluster of vehicles. Several officers were pinned between two patrol cars before first responders were able to free them. Charges are pending against the unidentified driver. Fatigue and alcohol affect the brain in much the same way. Many people who would never drink and drive routinely operate motor vehicles on long road trips or after long days at work. Yet driving a car after just eighteen hours without sleep is like driving a car with a .08 BAC. Likewise, just as there is no instant cure for intoxication, only time and rest cures fatigue. Driving tricks, like drinking coffee or turning up the air conditioning, may make fatigued drivers feel more alert for a short time. But such actions do nothing to accelerate the thought process or improve judgement abilities. Drowsy driving is not just a problem for noncommercial drivers. Fatigue is a serious issue for long-haul truck drivers as well. Most shipping companies pay their drivers by the load and not by the mile. So, they have financial incentives to stay on the road as long as possible. Tour bus and transit drivers also struggle with fatigue. Most people are naturally sleepy early in the morning and late at night. It does not matter how much rest they had the night before. Many tour bus drivers are behind the wheel at these times. Fatigued drivers seriously injure some 45,000 people a year in car crashes. Fatigued driving is an excellent example of negligent driving. 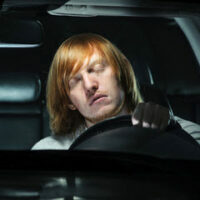 Drowsy drivers know full well that they are too sleepy to operate motor vehicles. Yet they do so anyway. So, their conduct is a clear breach of the duty of reasonable care. If this breach of duty substantially causes injury, the tortfeasor (negligent driver) is legally responsible for damages. Any Loss of Important Function: Mobility in the arms and legs is an important function. A broken bone usually permanently impairs mobility, even if the impairment is not very serious. The senses, like vision and hearing, are also important bodily functions. Disfigurement or Scarring: Once again, the scar need not be serious. It must only be permanent. This category includes both surgical scars and visible scars from trauma injuries. Permanent Injury: Most serious injury claims rely on this portion of the no-fault law. It is quite objective and usually depends on a physician’s diagnosis. The added compensation includes money for noneconomic losses, such as loss of consortium (companionship), pain and suffering, loss of enjoyment in life, and emotional distress. Drowsy drivers often cause serious injuries. For a free consultation with an experienced personal injury attorney in Tampa, contact The Matassini Law Firm, P.A. We have multiple offices in the area.